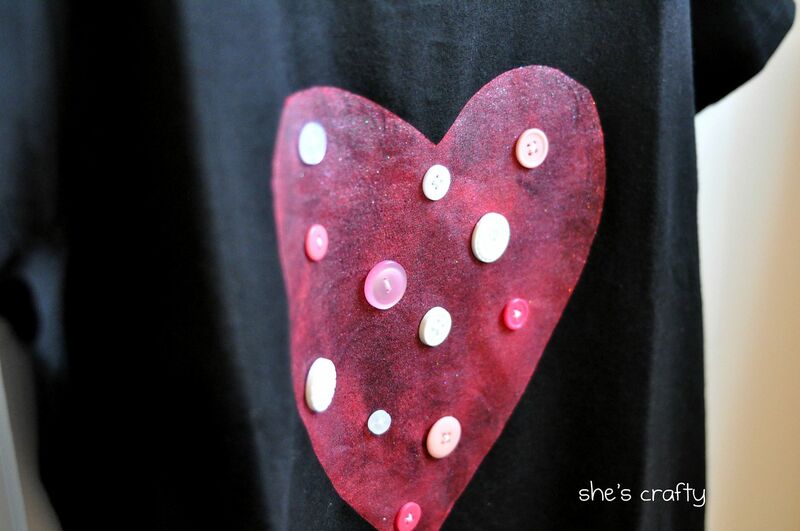 This is a quick and easy shirt to make for your kids or yourself (I wish I would have thought to make myself one.) 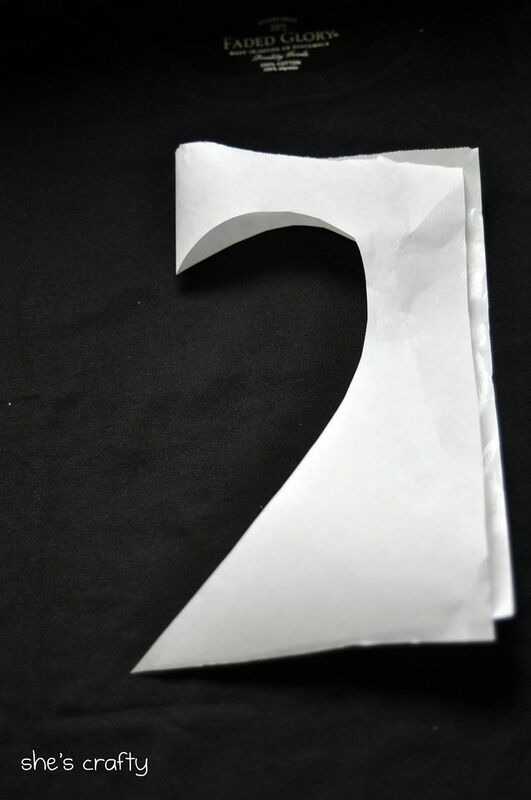 You've probably seen the freezer paper stencil method before. But if you haven't, here is a little step by step tutorial. 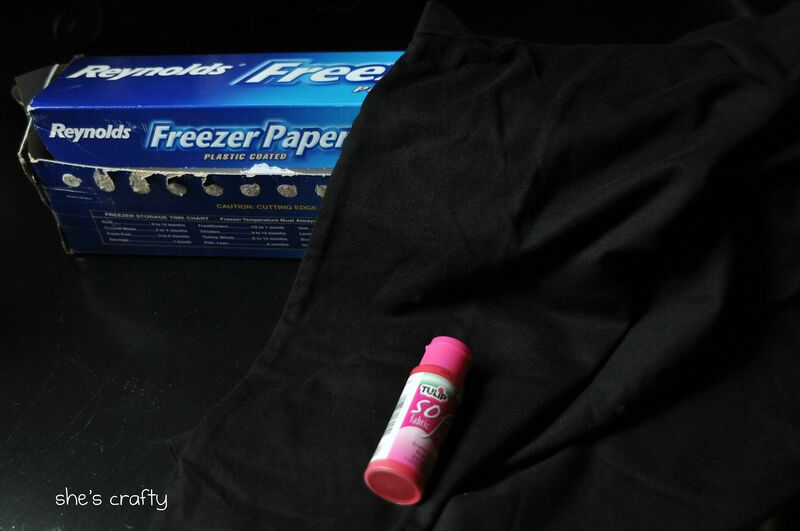 All that is needed is a plain, no pocket t-shirt (the black fabric in the photo), freezer paper, fabric paint and an iron. 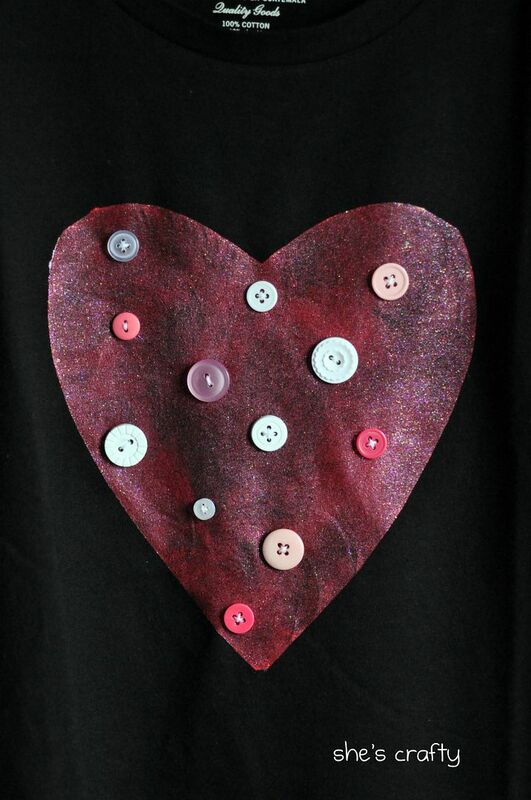 I free-hand cut a heart shape from the freezer paper. 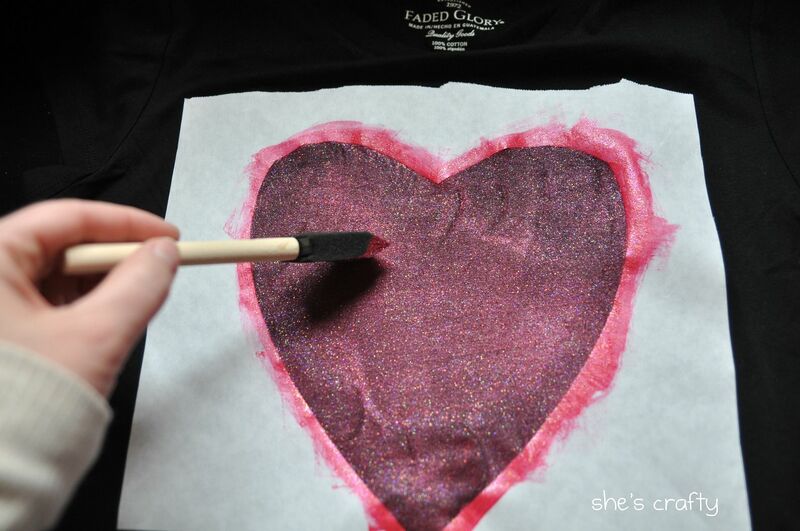 Then put the freezer paper outline of the heart onto the shirt, shiny side down, and ironed it. It sticks really well and doesn't need too much heat. 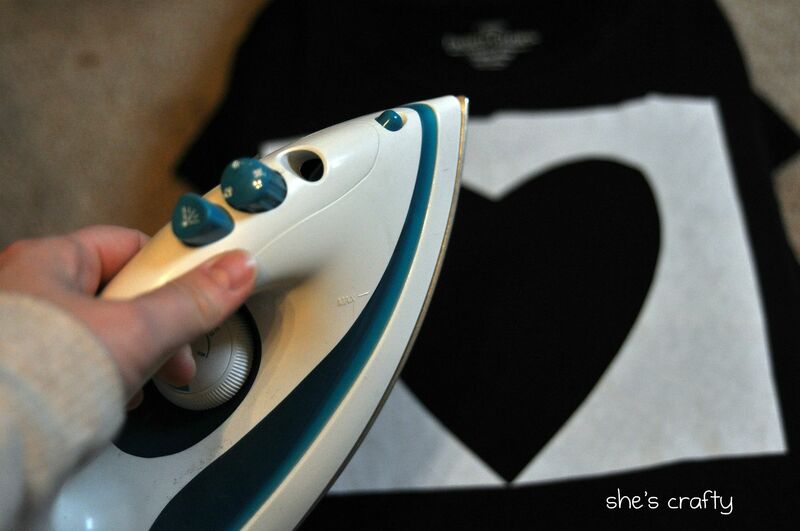 If there is a part that wrinkles and you need to readjust, you can pull it up and then re-iron it. 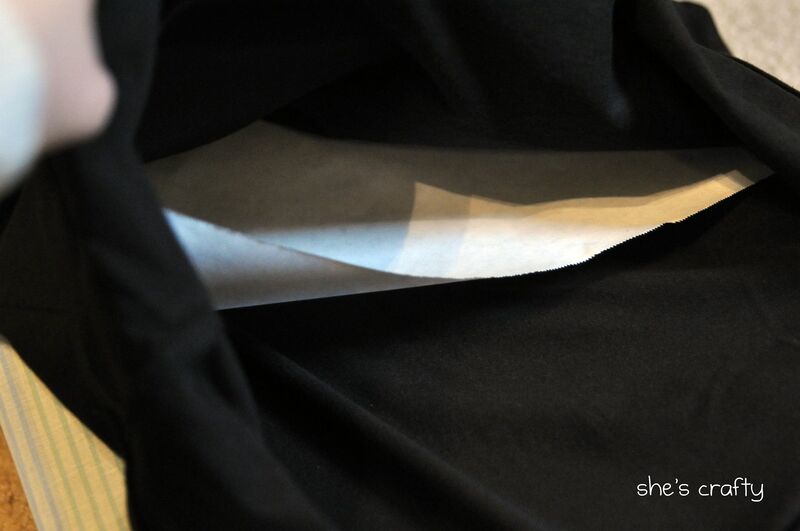 I also ironed a piece of freezer paper on the inside of the shirt for any paint bleed through. 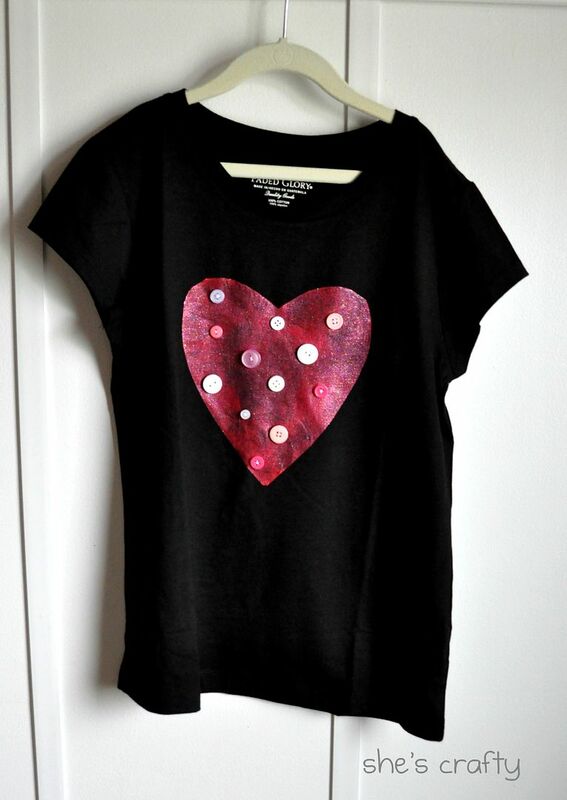 Then using a foam brush, I painted the fabric paint onto the shirt. I thought the color was red so I was pleasantly surprised to find out it was glittery pink. 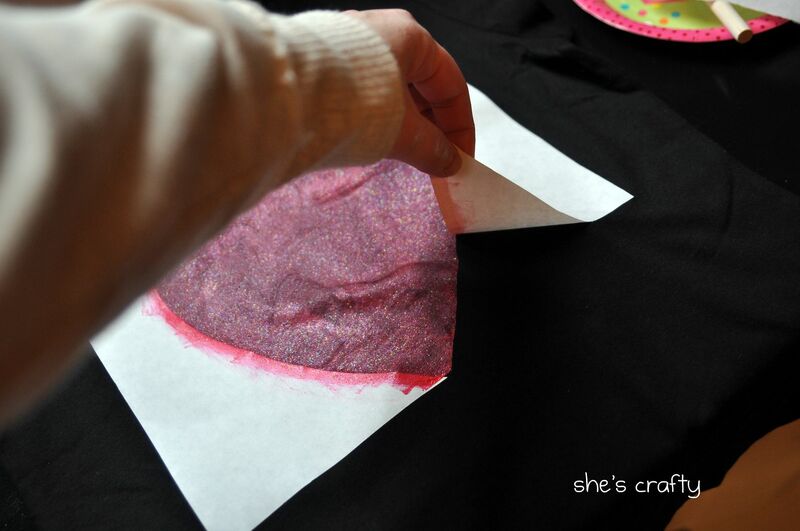 Let the paint dry to touch and pull the freezer paper off. 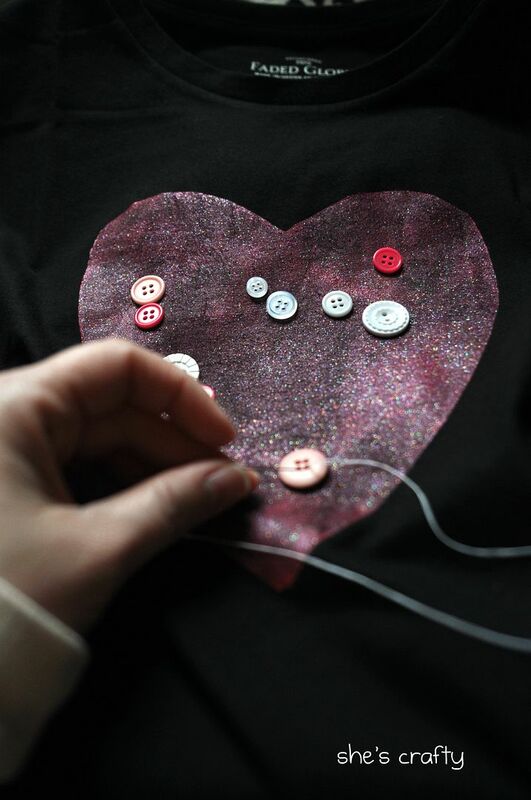 Then I hand-sewed some buttons onto the heart. I think it turned out pretty darn cute. The heart has a bit of a variegated look. If that's not what you like, just put more coats of paint onto the shirt, letting each coat dry in between. 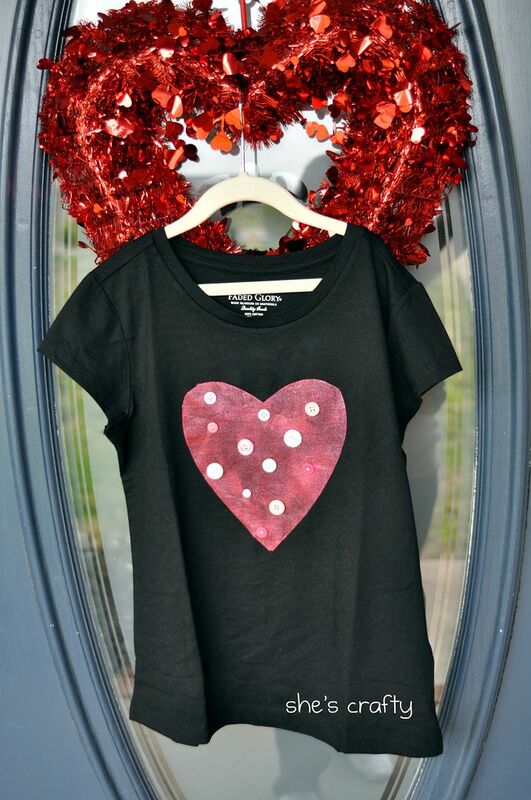 My sweet girl will look so cute in this on LOVE day! !